There were three main levels of confrontation involving the Soviet Bloc during the Cold War, and especially during its last decade, that were important for U.S. strategic interests. The first was the East-West confrontation and the possibility of tension exploding into military combat and even nuclear war. On this level, Romanian consistently fought against the policies of provocative military competition, heightened tensions, and proxy wars favored by successive Soviet leaders; and especially Soviet military leaders. It did so primarily by contra-posing its own strategy of international mediation, military disengagement and disarmament. Its ability to blackmail reluctant Soviet regime leaders into adopting these policies in exchange for their renewal of the Warsaw Pact in 1985 is one of the most astonishing phenomena of the final Cold War years of which nearly nothing was known at the time – not even the fact of its occurrence. 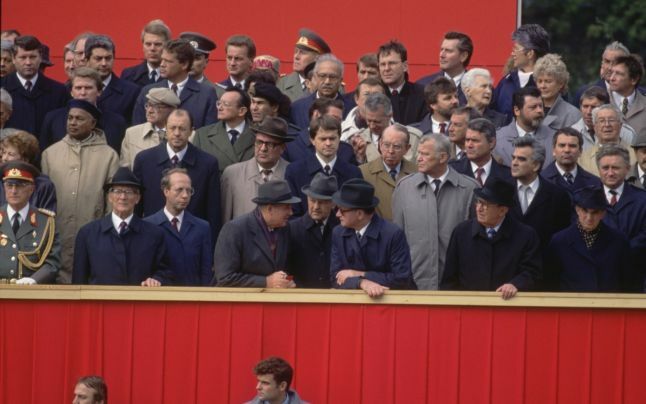 Ironically, reports during the mid and late 1980s of Romanian-Soviet reconciliation in part reflected a reality in which Gorbachev increasingly aligned Soviet security policy with long-standing Romanian advocacy and began meeting the long-standing demands of Bucharest. Prior to that, reports of such reconciliation disseminated during the 1960s and 1970s were standard elements of an active measures campaign designed to create the image of diminished and diminishing Romanian independence. Now they reflected the Soviet realignment with long-advocated Romanian positions. Not surprisingly, Gorbachev – and just about every other Soviet leader – was loath to acknowledge any Romanian role in the process. Meanwhile, with Bucharest now increasingly in accord with Soviet security policy, one of the most important areas of previous Soviet-Romanian confrontation had been greatly reduced. This, however, provided little respite for Gorbachev. Partly because it judged the timing propitious and partly due to deeply-rooted “trust” issues with Moscow, Bucharest continued to press for even further disarmament, even greater reductions in weapons, troops and defense budgets, and even faster and more complete withdrawal of Soviet troops from foreign territories. And it continued to do so all the way up to the Romanian revolution in December 1989 – to the frequent and considerable discomfort of the Kremlin. The second level of confrontation was within the Warsaw Pact, where Romania was relentless in seeking to liberate the Eastern European allies from Moscow’s dominance almost from the moment it signed the Warsaw Treaty in May 1955 (thereby reinforcing and even guaranteeing its own independence). It did this by insisting on a democratization of the Warsaw Pact that would decentralize power within the alliance and rotate its leadership, thus transforming it from an instrument of Soviet military policy into a genuine coalition of equal partners. By 1988 it was even advocating a complete restructuring that would end its role as a military-political alliance and the main official coordinating body for Soviet Bloc foreign and security policies. The Romanian side will probably try to focus attention on the proposals the Romanian Communist Party has forwarded to the sister parties in the subject of transforming the Warsaw Treaty. These modifications affecting the roles of the political organizations – the admission of Yugoslavia and Albania to the Warsaw Treaty – are essentially aimed at, and may lead to, the revision of the original treaty. Let's not go down the same road that the Romanian have proposed to take, namely that we should add to the agenda the questions of socialist construction, i.e. the experiences of building socialism at home, along with the questions of economic cooperation within the framework of the Warsaw Treaty; I'm sorry to say that several Warsaw Treaty countries have embraced the proposal. … [W]e are opposed to what has been written down [in the proposal], and we do not endorse it under any circumstances. The Soviet leadership saw “democratization” of the Warsaw Pact in entirely different light than did their Romanian counterparts. The Kremlin’s perspective would have allowed the USSR to preserve the bloc-to-bloc character of the East-West relationship and to strengthen the integration of the Warsaw Pact under Soviet control, thus facilitating the long-term survivability of the Soviet empire in Eastern Europe. It is difficult to ascertain whether and to what degree Romania’s campaigning played a part in the failure of that Soviet project. However, given that Moscow pursued such preferences even at this late date suggests that continued Romanian opposition did play some role in blocking them. 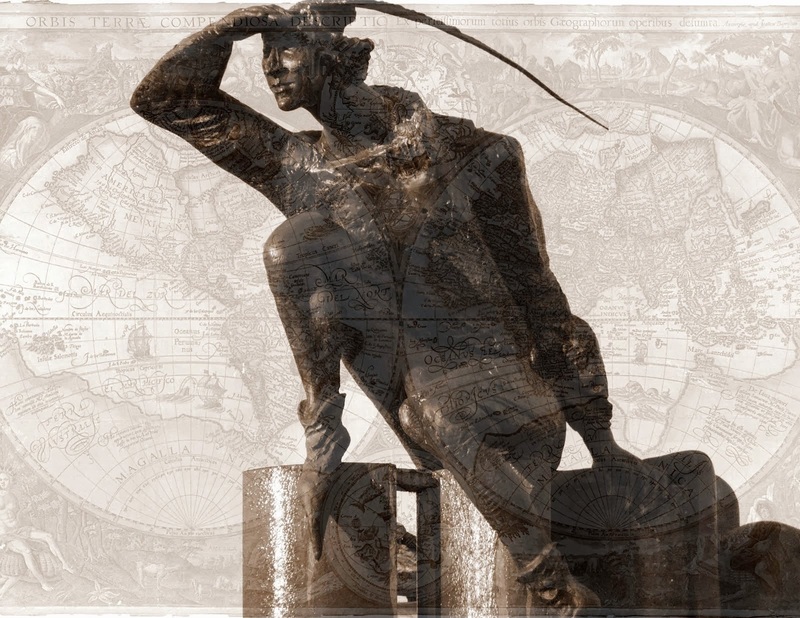 [W]e changed our priorities with how we looked at the Soviet Union – or at Eastern Europe. Before we had favored those countries in Eastern Europe that were making the most trouble for the Soviet Union, the most restive, the most cantankerous, and so on, so that Ceauşescu's Romania was at the top of the list. And instead, what we focused our attention on were those who were trying to liberalize and change the system. So Romania went from the top of our favored list to the bottom, and Poland came up to the top. This was devastating for the immediate future of the U.S.-Romanian relationship – a relationship already savaged by a combination of Soviet-coordinated disinformation, the illiberal domestic policies of the Romanian Communist regime, and the apparently accelerating decline of Romanian administrative capacities. Whereas Romania’s role on the first two strategic and alliance levels of confrontation was not only constructive and effective but essentially aligned it with broad U.S. policy during most of the Cold War, the struggle on the third, state level, requiring liberalization within each socialist country, had always been a bone of contention between Bucharest and Washington. The battles that Bucharest had fought and continued to fight on the strategic and alliance levels had little or no echo here. Unfortunately, the residual popular support for the western-oriented independent policies pursued up until the early 1980s by the Romanian leadership ill-served the process of domestic power-sharing and decentralization later in the decade. Thus, there were virtually no signs of any grass roots-driven liberalization of the Polish variety. Nor was there any sign of Soviet-approved top-down liberalization to regain regime legitimacy, as in Hungary after the crushing of the 1956 revolt and the brutal ‘normalization’ that followed. On the contrary, the Romanian Communist regime gave every sign of misinterpreting popular support for events and orientations past as a blanket approval for dysfunctional domestic policies and new strategic orientations towards the developing world that generated no corresponding legitimacy, on the contrary. In great contrast to its constructive and often inspired foreign and security policies, Romanian domestic policy seemed ossified in an early stage of developmental dictatorship that allowed for little reform and even less liberalization in the closing years of the Cold War. Soviet and Pact disinformation, prior cognitive biases in the West, and new U.S. interest in supporting Gorbachev against critics in the USSR and Eastern Europe narrowly focused Western attention on this most vulnerable and blameworthy component of Romanian policy. Meanwhile, Soviet active measures successfully obscured Romanian strategic and intra-alliance initiatives, from two different directions. Along one tangent, active measures misrepresented Bucharest as advocating other, and often diametrically opposite, policies and/or obstructing the very policies it was advocating in fact. The second line of active measures facilitated “prestige building” operations for favored allies by re-attributing Romanian reform initiatives to them. Thus, even when Romanian moves were known to the West, Romanian authorship of them often was not. Together with Prague, Budapest was also credited with going the “farthest in advocating the abolition of the military structures of the Warsaw Pact.” This was a role that, according to available Warsaw Pact documents, no Hungarian or Czechoslovak leadership had ever pursued prior to 1990. However, it was a familiar role for Bucharest. One that, according to the proceedings of various Warsaw Pact meetings, the Romanians performed in opposition to all of the other Pact members until their revolution. After the leadership pursuing it had been safely removed at the end of 1989, the rest of the Warsaw Pact simply misattributed the Romanian reform proposal – “dissolution of the Unified Armed Forces, placing the armed forces under national command only, defense of national territory as the only alliance obligation, transformation of the Staff of the Unified Armed Forces into a Coordinating Group” – to Czechoslovakia and Hungary. 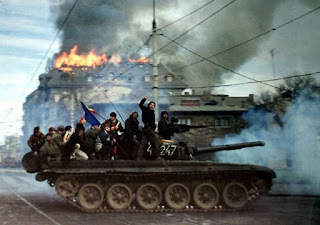 As virtually all of the aspects of Romanian security and foreign policy were being systematically reattributed to Soviet loyalist regimes with the help of the Soviet-Warsaw Pact active measures apparatus, the country and its regime were studiously re-projected as advocating almost exactly the opposite of what they had for the last quarter of a century. From the only Pact member that refused to blame and condemn the United States, West Germany and NATO it became the Bloc member that most hated Washington, Bonn and Brussels. From the state that pioneered relations with Western Europe and with the EEC especially, it became the most anti-European of all. From the only alliance member to condemn Soviet-led military invasions and reject the Brezhnev Doctrine, it became the champion of military invasion in Europe and against its own allies. Of course, it had not actually become any of these things. But those were the images projected by the Soviet disinformation apparatus with remarkable success in the West. Parts of this study were appeared as Chapter 14: “Warsaw Pact Reform,” and Chapter 15: “From Partner to Pariah” in Larry L. Watts, Extorting Peace: Romania and the End of the Cold War, 1978-1989, Bucharest, RAO, 2013. For example, Gorbachev’s description of Romanian initiatives and proposals as not completely inane, damns them with faint praise. See e.g. Mikhail Gorbachev, Memoirs, New York, Doubleday, 1996, pp. 466, 473-476. Memorandum on the Hungarian Position Concerning the Transformation of the Warsaw Pact Working Mechanisms, 6 December 1988, pp. 3-4, Parallel History Project on NATO and the Warsaw Pact (PHP), www.isn.ethz.ch/php, by permission of the Center for Security Studies at ETH Zurich and the National Security Archive at the George Washington University on behalf of the PHP network. (Hereafter: PHP). The Hungarian delegations were instructed to avoid any responding to the Romania request and to “not give categorical answer to the Romanian proposals.” Op. cit., p. 4. George Bush and Brent Scowcroft, A World Transformed, New York, Alfred A. Knopf, 1998, pp. 38-39. General Brent Scowcroft , “The End Of The Cold War And What's Happened In The Ten Years Since,” Transcript Of Keynote Speech, Brookings National Issues Forum, Brookings Institute, Washington D.C., Thursday, 2 December 1999. Vojtech Mastny, “XXIII. Meeting of the PCC, Bucharest, 7-8 July 1989: Editorial Note,” in Vojtech Mastny, Christian Nuenlist, Anna Locher, and Douglas Selvage, “Records of the Warsaw Pact Political Consultative Committee, 1955-1990,” May 2001, PHP. Unfortunately, the Romanian versions of Ceauşescu speeches at the Bucharest summit are not included in this collection, so the Romanian voice is essentially missing. There is little evidence to suggest, however, that the description of Hungarian withdrawal from the Pact was correct, or that Ferenc Münnich’s admonition given in 1950, that Hungarian foreign policy “was a prerogative of the Soviet Union,” had been seriously reconsidered regarding the Warsaw Pact. László Borhi, “Kádár and the United States in the 1960s” in Ansii Halmesvirta, editor,Kádár’s Hungary – Kekkonen’s Finland, Hungarologische Beiträge, vol. 14, Jyväskylä, Finland, University of Jyväskylä , 2002, p. 64. Head of Parliament and then President Matyas Szűrös, Horn and Kádár echoed that same position during the 1980s. Minutes of Meeting of the HSWP Political Committee on 16 May 1989-Excerpt on WP issues, 16 May 1989, in Csaba Békés and Anna Locher, editors, “Hungary and the Warsaw Pact, 1954-1989: Documents on the Impact of a Small State Within the Eastern Block,” October 2003, PHP. Report on the 24th CMD Meeting, 1 December 1989, PHP. Vojtech Mastny, “XXIV. Moscow, 6-7 June 1990: Editorial Note,” 24 January 2003, in Mastny, Nuenlist, Locher and Selvage (2001), PHP. Along the same lines of suddenly “remembering” previously non-existent independent behavior, General Jaruzelski made the rather astounding claim that “Poland was the only Warsaw Pact member to have developed a territorial defense concept of its own.” Talk by Gen. Wojciech Jaruzelski, 5 February 2002, “Polish Generals,” PHP. Romania also did, the difference being that Romania implemented it while Poland did not. For example, Hungarian Foreign Minister Gyula Horn continued to oppose shifting the Warsaw Pact from its military and political focus to socio-economic issues in the CMFA meeting in Warsaw at the end of October 1989. Speech by the Hungarian Foreign Minister (Gyula Horn), 26 October 1989, PHP. Likewise, before his ouster, Hungarian Party chief Miloš Jakeš rigidly adhered to the Soviet template regarding Warsaw Pact reform.Speech by the General Secretary of the KSČ (Miloš Jakeš), 7 July 1989, PHP. Although the special working group on “issues related to the improvement of the mechanism of cooperation within the Warsaw Pact” met four times between its founding in July 1988 to the autumn of 1989, it could reach no consensus because of the “deep opposition of views” pitting Romania against all the rest. Ironically, consensus was reached at the fifth meeting in February 1990 when the other members accepted the transformation of the Pact’s functions and the rotation of the Supreme Commander post, thus the main elements of the Romanian reform proposal. 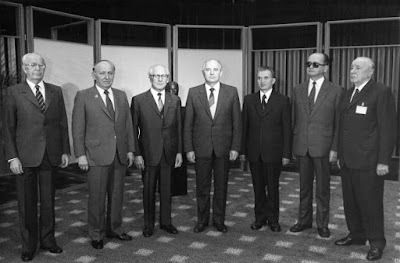 However, Ceauşescu had fallen and the new Romanian representatives at the PCC meeting neither claimed nor were given any credit for what amounted to the reform that ended the Warsaw Pact. See e.g. Jordan Baev, “The End of the Warsaw Pact, 1985-1991: Viewed from the Bulgarian Archives,” in “National Perspectives,” PHP; Information on the Budapest meeting of the Group “for issues to the improvement of the mechanism of cooperation within the Warsaw Pact,” 5 March 1990, Diplomatic Archive, Sofia, Opis 47-10, A.E. 34, p. 10. Proposal by the Czechoslovak Delegation, 7 June 1990, PHP; Records of the PCC Meeting in Moscow: East German Report, 8 June 1990, PHP; Vojtech Mastny, “XXIV. Meeting of the PCC, Moscow, 6-7 June 1990, Editorial Note,” 24 January 2003, PHP.